MAGNESIUM is very underrated as it relates to our health. It is the 4th most prevalent mineral in the human body and is involved in over 300 biochemical reactions in the human body. It is magnesium that is responsible for directing our calcium into our skeletal system. Ninety-nine percent of our calcium SHOULD be in our bones, but when our magnesium levels are low calcium winds up in places in our bodies where it should not be. Misplaced calcium wreaks havoc on our bodies. When magnesium is low, its effects can manifest as fibromyalgia, restless leg syndrome, arthritis, ADHD, insulin resistance, neuropathy, asthma, high blood pressure, hardening of the arteries, irregular heartbeat, foggy thinking, calcification in breast tissue, kidney stones, improper formation of teeth, improper bowel function, heart attack, and more. Without magnesium there is no chlorophyll.Without chlorophyll there is no photosynthesis. Without photosynthesis plants are not able to convert sunlight into usable energy. Without magnesium, literally, there is no life. It is similar in the human body. When magnesium is low, health declines. Ninety-nine percent of magnesium exists within the cells. 99 percent of calcium should be in the bones. Insulin is another main character in our health, as is magnesium. Controlling blood sugar levels is only one of the function of insulin. It also transports magnesium into our cells. When a cell is deficient in magnesium it is less influenced by insulin, insulin resistant, and glucose and magnesium in the blood cannot enter the cell. When magnesium cannot enter the cell it is excreted by the kidneys, whose responsibility it is filter out unused nutrients. When glucose cannot enter the cell it can be stored in our tissues and weight gain, diabetes, or heart disease often occurs. Without magnesium, our pancreas won’t secrete enough insulin or it will secrete insulin insufficient to control our blood sugar. Magnesium is both responsible for the production of insulin AND for its effectiveness. Diabetics often have low magnesium levels and thus are prone to atherosclerosis, retinopathy, and fatty liver. Magnesium Chloride to the rescue! All hormones are created from cholesterol. Cholesterol is crucial for health and is the main hormone from the adrenal cortex. Proper magnesium levels can have statin-like properties and help to keep our bad cholesterol in check. Cholesterol cannot be synthesized without magnesium and is a main component in many hormones including DHEA, the “mother of all steroid hormones”. Magnesium helps the adrenals to manufacture DHEA. DHEA helps to keep cancer and infections in check. It helps to keep our immune system strong. DHEA helps us to retain our youth. Where DHEA is strong, pathology is lessened. Magnesium deficiency is responsible for the loss of bioavailability of DHEA. TRANSDERMAL USE OF MAGNESIUM CHLORIDE IS THE ULTIMATE WAY TO REPLENISH DEPLETED MAGNESIUM STORES. It nourishes every cell of the body and is the best way to stimulate the creation of the body’s DHEA naturally. Glutathione has been called “the mother of all antioxidants, the master detoxifier, and master of the immune system”. Low magnesium levels inhibit your glutathione production and leaves you susceptible to unrestrained cell disintegration, free radicals, and infections, and cancer. It is one of the few antioxidants to neutralize mercury and helps the body defend itself from the dangers of cigarette smoke, chemotherapy, radiation exposure, alcohol, and many other toxins. Arthritis is not a lack of calcium. Arthritis is a lack of magnesium. Instead of calcium entering the bone by action of magnesium, magnesium’s lack can cause calcium to be deposited in the joint instead. Liquid MAGNESIUM CHLORIDE on your skin can bring quick relief. For the heart muscle to function properly it MUST have adequate magnesium levels. Heart attack victims have low levels or magnesium but high levels of calcium in their heart muscle. Magnesium dilates the arteries of the heart. Calcium in the tissues of the heart constrict the tissues and calcium in the arteries contribute to arteriosclerosis or artery hardening. Animals and humans get their life from eating plants and it is magnesium that makes it possible through chlorophyll and photosynthesis. Magnesium is a part of nearly every bodily function. When magnesium levels decline so does our health. When magnesium declines our youth declines. We can restore our magnesium levels with the application of MAGNESIUM CHLORIDE transdermally, through our skin. For us to get our magnesium levels up to the required levels orally there are often laxative consequences. (Remember Milk of Magnesia?) The application of magnesium chloride to your skin is powerful and its benefits are often felt immediately with virtually no side effects. MAGNESIUM CHLORIDE through the skin can relieve pain, ease muscle tension, lower blood pressure, help us sleep through the night, relieve arthritis and help us to regain our youth and health in many ways. LIQUID MAGNESIUM is nothing less than a miracle to those who are deficient in this life giving mineral. 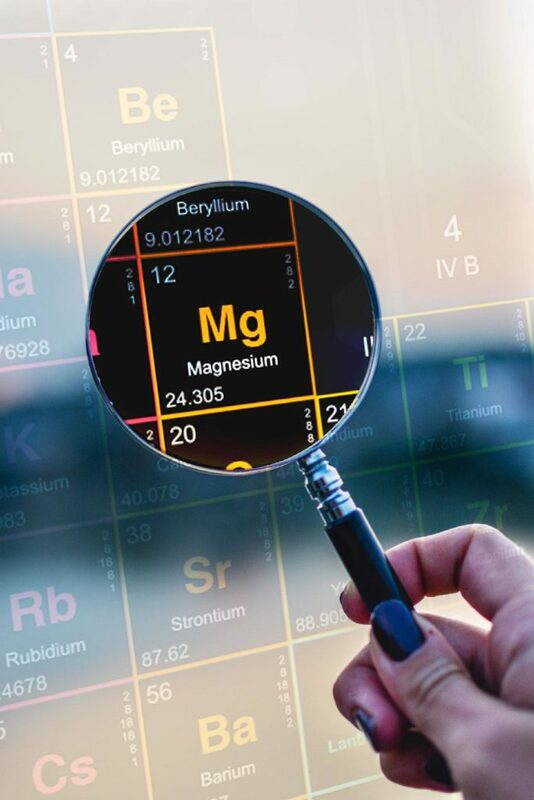 THOSE WITH RENAL FAILURE SHOULD AVOID MAGNESIUM SUPPLEMENTATION. THOSE WITH LOW BLOOD PRESSURE SHOULD ALSO BE CAREFUL WITH THE SUPPLEMENTATION OF LIQUID MAGNESIUM.